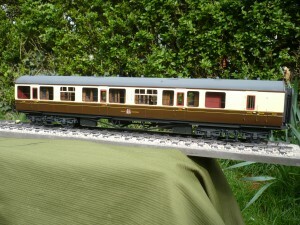 I currently have available these GWR Composite Brake to Dia 159, new, un-run, mint carriages. 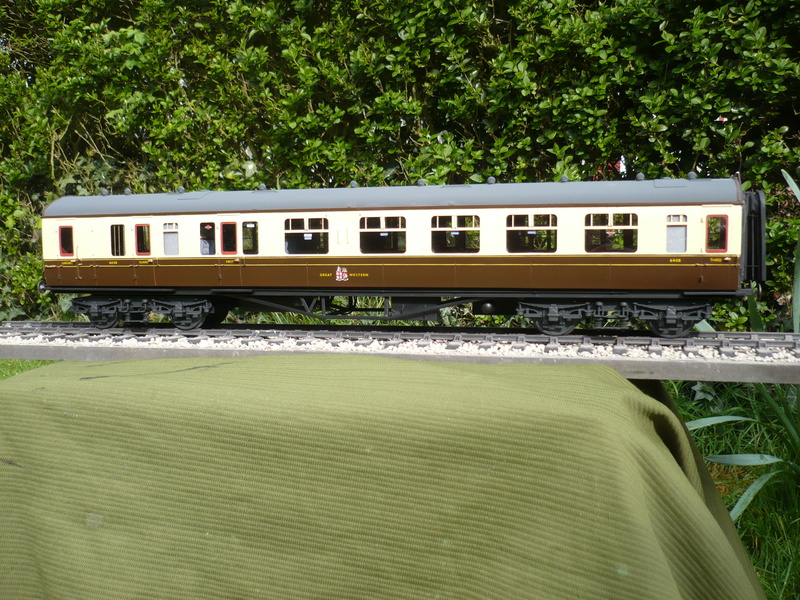 All brass construction, modified running gear, hand painted and lined, hand painted crests, fully detailed interior, working gangways and lights, all to my usual, museum quality standard. Available for shipping right now, it is available at £800.00 with delivery by arrangement (UK postal approx £20). Enquiries should be directed to me at enquiries@rogers-models.co.uk, or please call me on 01652 681930.